Environmental Defenders Office Queensland and SCEC hopes you managed to make it to the recent seminar on the supporting instruments, and that if you did, you found it interesting and informative. If you weren't able to attend, this update should put you in the picture and assist in preparing a submission and help spread the word! We've also put together a glossary of key planning terms. The Department have also provided a couple of useful resources on the supporting instruments: the survey we made available at the seminar, and a slideshow which assists in explaining changes to the Government’s Planning Bill prior to introduction to Parliament and the context of the supporting instruments. We'd like to remind you that you can have your say on the instruments until 6pm Friday 5 February, by emailing bestplanning@dilgp.qld.gov.au. We hope that find the above resources useful when making your submissions. Thank you for taking an interest in the quality of Queensland's planning laws! The Environmental Defenders Office Qld is a community legal centre which helps people wanting to use the law to protect the environment. We provide free legal advice and assistance, run landmark court cases, produce easy-to-read publications, hold free community seminars and workshops, and undertake important law reform activities to strengthen and improve Queensland's planning and environmental laws. Visit our website www.edoqld.org.au to find out more, or contact us on 3211 4466 or by reply email. 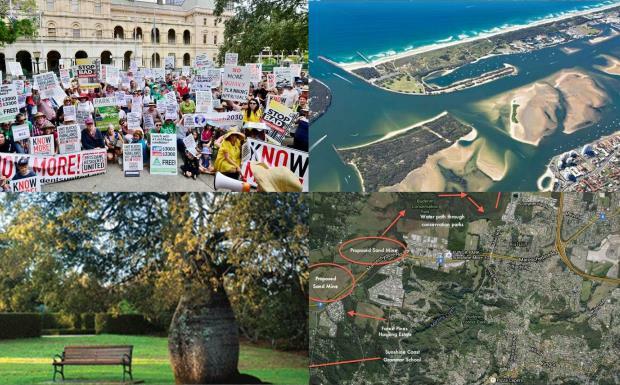 You can support the work of the Enviromental Defenders Office Qld by making a secure online donation.